Ocoee Florida Party Bus provides luxurious and stylish party bus transportation throughout Florida. Come and enjoy one of our extravagant 18 or 40 passenger Ocoee party buses! These are the ultimate party machines with big screen TVs, great stereo systems, multiple wet bars, restrooms, leather seating, in motion satellite, and much more. Rent an Ocoee party bus for your next wedding, prom, birthday, bachelor/bachelorette, or corporate event! Click on our live web chat service or give us a phone call to receive a free party bus quote. Call A1 Limo in Ocoee today if you are looking for a dependable company, affordable pricing, and reliable transportation! We provide airport transfers and shuttle bus service. We will transport any size group to any destination in Florida! 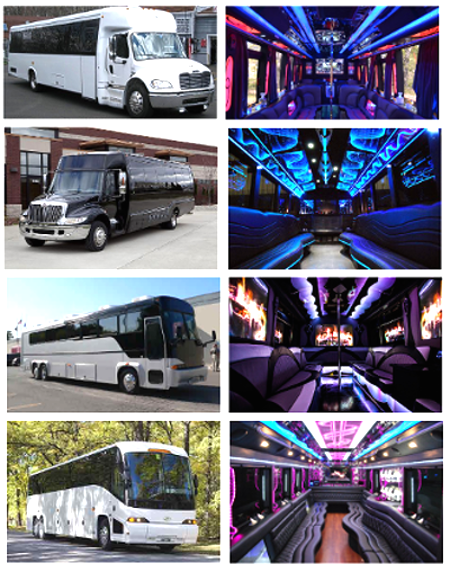 We want to be your source for party buses, coach buses, mini buses, shuttle buses, and charter buses.